Delicate and sophisticated. Sensual and Seductive. 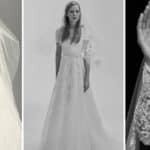 These are the epithets that are attributed to the new bridal spring 2019 collection of Vera Wang. This is definitely one of the most unique bridal collections ever seen in the couture fashion world, and nag is definitely the bravest wedding dresses designer who never plays by any other’s rules, because with this collection she has proven that you can create something beautiful, romantic and sophisticated, even when you broke all the traditional rules of bridal collections. Her courage has taken her to this new vibrant and colorful bridal collection dedicated to all sophisticated and courageous brides to be. 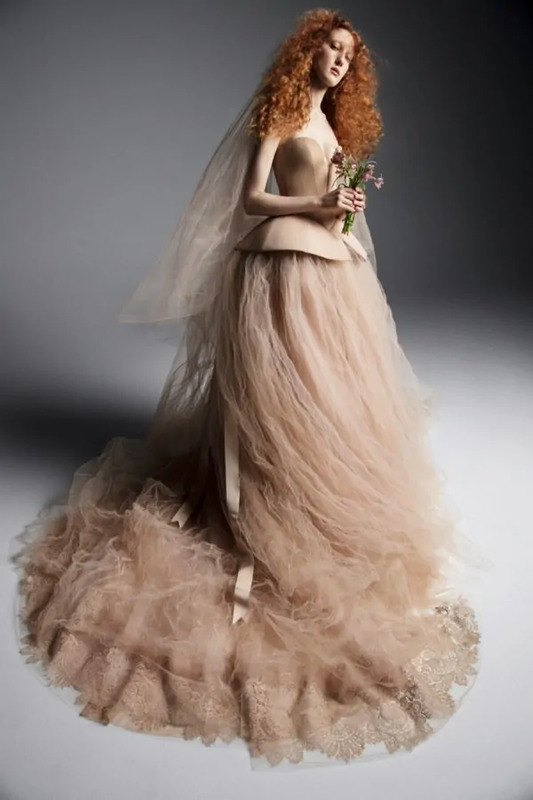 She said stop to traditional white wedding dresses and has changed them with bridal gowns in sensual and vibrant colors with big bold colored flower and ribbon details. 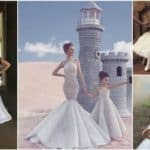 Her new colorful bridal spring 2019 collection is certainly the most sensual and most feasible yet. 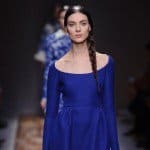 Wang devotes her spring 2019 bridal collection to soft colors and bold colored details, which according to her is intended for all sophisticated, seductive and powerful women who are courageous enough to deviate from the traditional features related to the dominance of white in relation to the wedding dress. 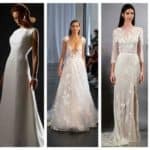 The materials that dominate in this bridal collection are lace and silk and tulle, incorporated in dresses in the form of cheeses, dominated by corsets and large floral accessories and ribbons. Her intense to explore translucency and movement, and obviously color, in an unique ways that shows how to overpass the borders of traditional white, ball skirts gowns, was totally successful. Mystique and colorful, romantic and sensual, we present you some of the most eye-catching bridal gowns from Vera Wang’s bridal collection in the gallery bellow. Enjoy any detail and touch of sophistication.